A certain layout of a blog can help you to add more content in a short span of time. Even if you are not a good writer, you can end up writing a great blog post by using a great layout. A structure can really overshadow your minor faults as a writer. Showcasing your individuality can now be fun if you follow the simple tricks discussed below. You will end up writing great blog posts in less time. Writing a good heading can now and then require as much exertion as composing your whole post. The heading of a post is the primary thing the visitors see, and this is the first thing that will bring more visitors to your post. It’s a tiny bit like a decent strip tease; it abandons a few things to the creative ability yet unquestionably stands out enough to be noticed. Keep in mind that every reader out there is an information junkie and they spend time on the internet quite too much to get some useful information. So, just think about it. If you visit a blog page which is flooded with images, big texts and loud colors. The page might contain the required information, but the writing style and the total scenario will repel you from reading it carefully. Too little white space in your page can result in loss of interest of the visitors. People are more interested in looking at pictures and videos rather than reading an entire post. All people want is to be entertained and feed their overenthusiastic brains. However, this does not mean you will incorporate unnecessary videos into your post. To make your blog post more interesting you can include some images as they also help to give paragraph gaps. The main thing of a successful blog is the visitors. So, external links of some other websites that matches with your topic of the blog post is also a useful weapon of writing a killer blog post. The atmosphere became electrifying when sixty three dazzling faces brimming with confidence and extreme inquisitiveness flocked in front of me on a Saturday morning (7th Nov, 2015), at Don Bosco School, Liluah, for the event “Firefox Download: The IndUS way.” The very body language and the attitude of the XI Science students were so inspiring that it instantly spurred me to be more proactive to match their spirit. A student’s life is full of experiences, some of which not only enlighten them but also prove to be a beautiful opportunity for students to interact and be a part of something new and enriching. The best experiences are the one’s that remain in their minds etched forever. Those experiences give the students a sense of immense pleasure whenever they think about it. It is these experiences that help them in their future. 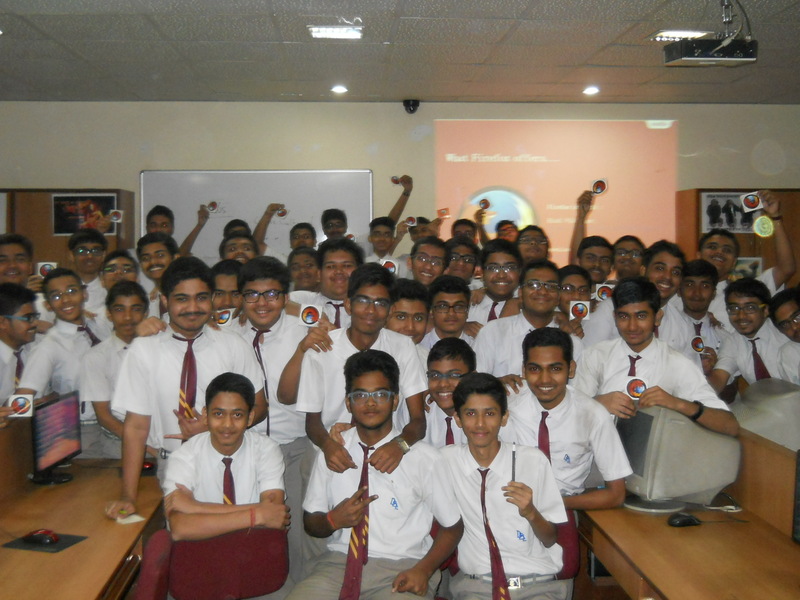 “Firefox Download: The IndUS way” was one such opportunity for the young minds where they did learn different nuances of blogging backed up by some amazing technology knowledge sharing platform from Mozilla Firefox. It all started with the wonderful inaugural speech by the Principal, Father Sunit Kiro, followed by a small introduction of the event by their computer teacher, Mr. Suman Roy. Then I took over and started explaining how ‘IndUS’ was born and what its mission is, its long term plan and where exactly we intend to culminate. In India, many stereotype career options coexist where you can be successful only if you are a doctor or an engineer, but we tried to prove otherwise in an awesome way. Our aim delves deep in enthusing them about content writing, blogging, e-book writing and lot of creative activities. We strive to make them understand that this is a wonder world, which is no less than the conventional professions like medical or engineering. We analysed the importance of blogging and the IndUS projects. 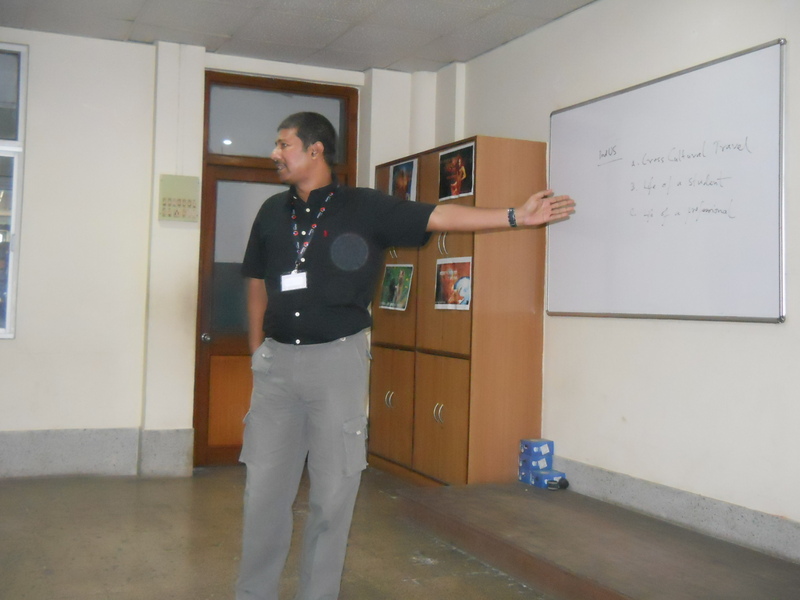 We went on to share the blueprint on how IndUS will help the students to shape up their careers if they want to take up content writing or blogging as their career options. No sooner did I start speaking, than I found the students hooked on to this interesting and rather new topic. The computer lab suddenly became a multiplex and I could see the enthralling crowd glued to my words with all ears. The next phase was planned to demonstrate Mozilla’s tremendous mission and activities to bolster the knowledge of the participating students. We emphasized on the how Mozilla understood the concept of bridging the inter-communal gap between various communities of India since India is an amalgamation of various cast, creeds and languages. Thus, in a very dynamic and fluid way we introduced the new initiative taken up by Mozilla to download the Firefox browser in 90 different languages. 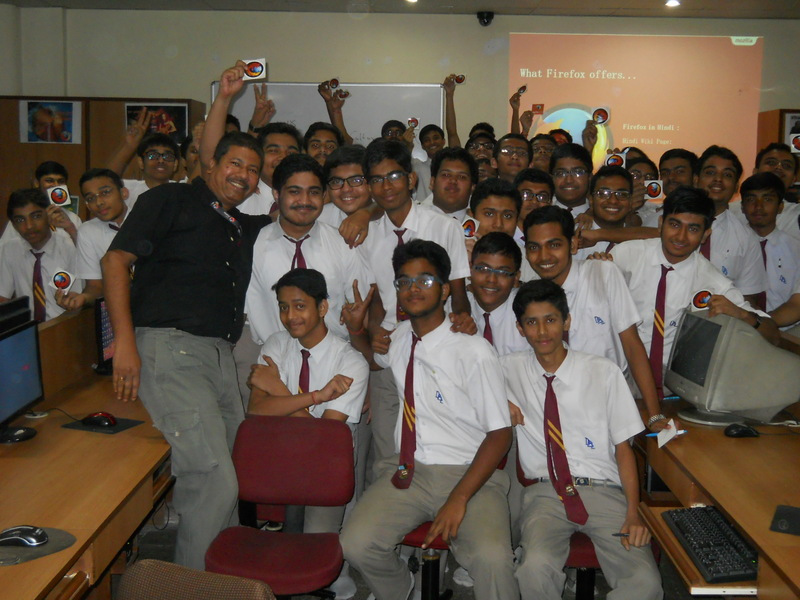 The students got pleasantly surprised at Mozilla’s efforts to bridge the gap between various people in India and connect the world through technology updation. 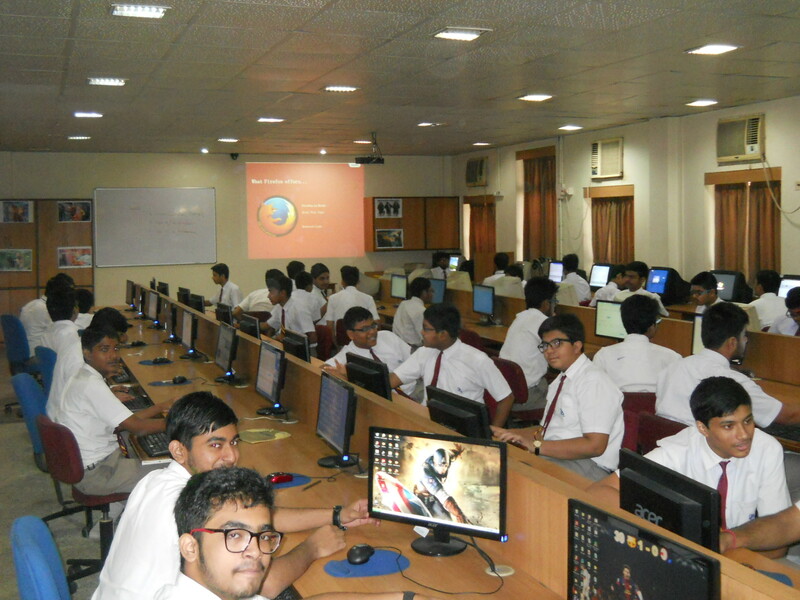 The students were also shown how to download the Hindi browser. A good number of 63 downloads took place within next 60 mins. 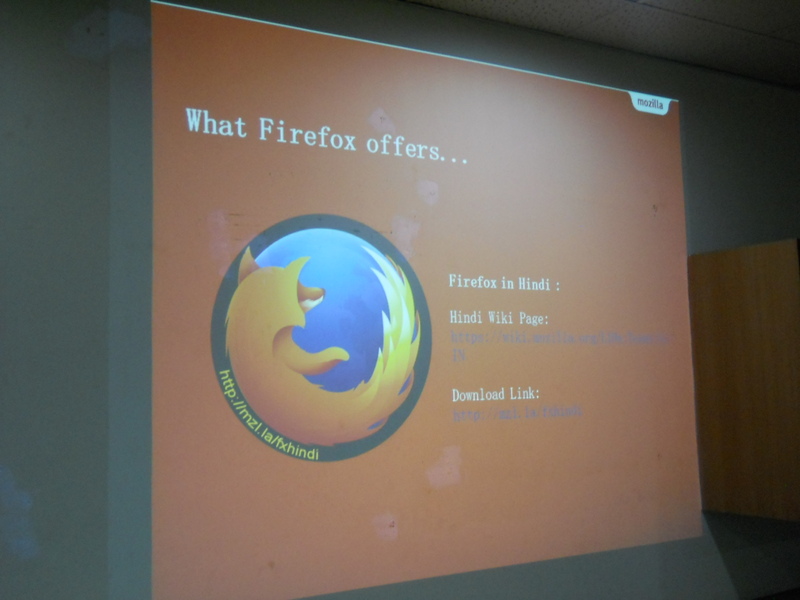 The two hour knowledge sharing fun reached its climax when the attending students got free goodies from Mozilla. It was really encouraging. Kudos to Mozilla! It was really nice to be a part of this wonderful Mozilla initiative. Most Students face problems choosing the right career; they are caught between what they want to be and what their parents want from them. But with proper counseling and guidance they can transform into highly efficient professionals. Then again, not everyone is comfortable with a normal day job with routine work hours. Different people have different types of commitment and they should choose a job, which works out well for them. They can opt for a career which not only utilizes their skills to the fullest but also offers flexible work hours. Content Writing can be a lucrative career option in India and it offers ample scope of growth. But not everyone is aware of its true potential; this is what makes Content Writing Workshops so important. Usually these events create a lot of buzz and the tickets are sold out in the blink of an eye. In this article, we will discuss the top 5 reasons why you should most definitely attend a Content Writing Workshop. 1. Hear it from the Experts: There are plenty of expert panelists who are there to help. They have years of experience in the domain and that education can really help you in the future. The key insights and technical know-how will help you in reaching your ultimate goal. 2. It saves a lot of money: If you don’t have the proper knowledge about a particular thing, it can prove costly to you. Applying the writing skills without knowing the basics in a pointless exercise and some courses can be very expensive. So by attending the workshop, you not only save quite a lot of money, but also acquire valuable knowledge. This can make you a better writer with bright possibilities. 3. Job opportunities: This is the main attraction of these workshops, as recruiting officers of big companies often come there to spot new talent. An important part of the workshop is the interactive session, in which the candidates get a chance to connect with the industry leaders. If you can impress them, who knows, you might come out with a job. 4. It is designed to make learning fun: It is the place where new ideas are generated and out of the box thinking is encouraged. The experience can totally rejuvenate you and the concepts which are taught will facilitate your success. 5. Networking: Meeting like-minded people can be very helpful. Networking with the other attendants can give a chance to discuss relevant matters and listen to their point of view. Most importantly, networking helps in building useful professional connections. So you need to act fast, as time is running out. You can’t afford to miss the Content Writing Workshop by Connect Course. This opportunity can give your career, the much needed boost and bring you closer to your dream job. The term refers to the collection of words that people read when they visit any website on the Internet. After the evolution of the Internet content writing is gradually turning into a renowned profession. 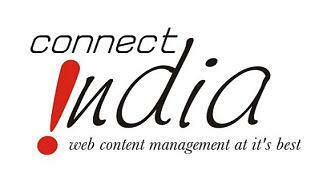 Unlike in the western countries where people take content writing as an additional source of income, India has witnessed tremendous growth in this domain. People from every sector are turning towards this profession. Some people think that content writing is an easy job and anyone can do this but in reality it requires strong determination, passion to read a lot and honest output. Content writing seems very simple but in truth it is a brain-stressing exercise. It holds bright future and good remuneration. There are few things, which are considered as the essence of content writing. • Content writing depends upon the research being done on a particular topic. Only those content writers live up to the expectations who lay stress on research and intelligently combine their own perception with the findings of research. Writing content on any topic requires great analytical skills and creative approach. Content writers strategically craft the web friendly content as well as reader friendly content. • A content writer needs to understand the business of his customer very well. Listening to the inputs given by the employer and tactfully including those inputs into writings is the job of a content writer. • Good command over the language and ability to express the views are vital components of content writings, which every content writer should posses. • Nowadays, content writing has turned into writing for marketing the products or services. Content writers appeal to the customers to buy product through their writings. Content writers have to explore new ways so that their writings persuade the reader to go for that particular product. • The most crucial reason for content writing is to provide prominent visibility to website on search engines. For this content writers develop content that is keyword enriched. On the web, effective content rules; it has the capability to defeat all the other tricks and mediums one has employed to attract the target users. On the website, web content writing is the driving force of your marketing campaign. Using the web content to attract, convert or retain your website visitor is a very difficult task. For this you need specialized hands who create content for your website. Search for courses,articles and more..